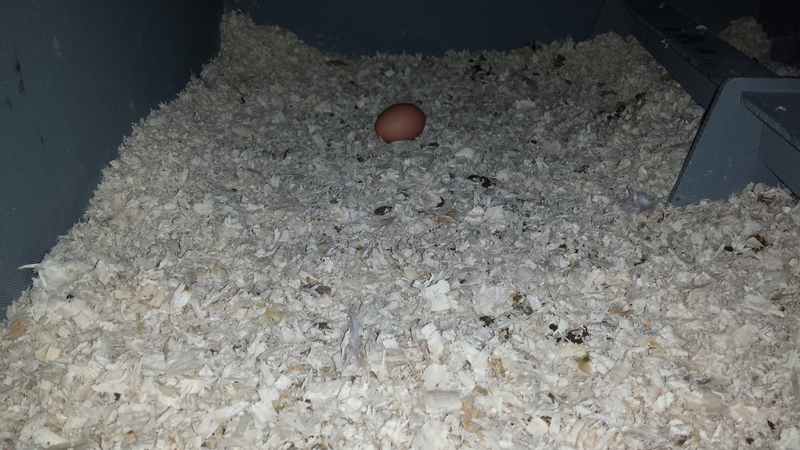 The egg is brown so has been laid by Peggy the Marans. She is an English Marans, the French varieties lay eggs that are much darker but they have feathered legs which aren’t much fun if the ground is muddy so I decided to have an English one. 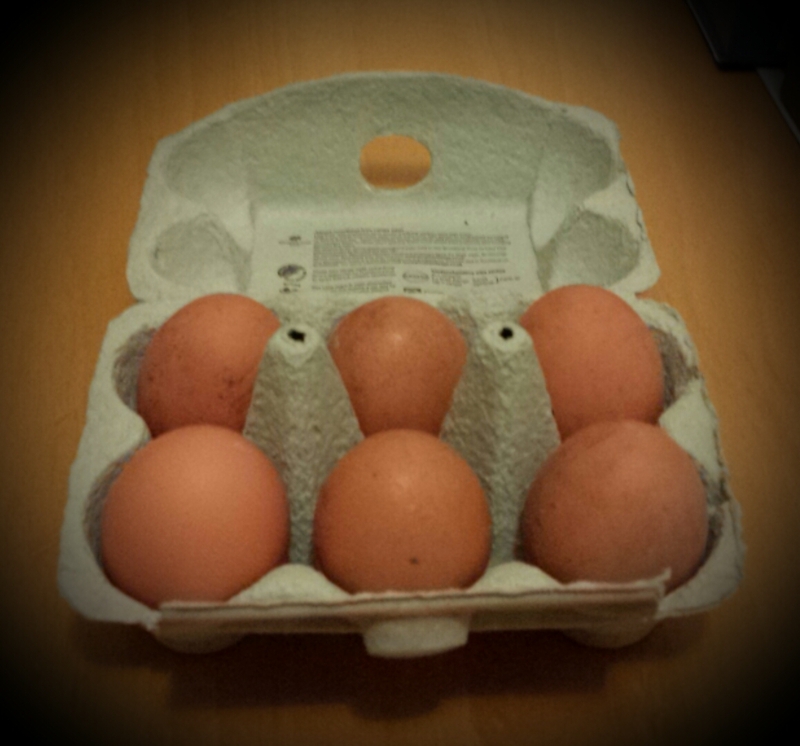 When (if ever) the others start laying their eggs will be white/cream (Jersey Giant, Dorking) and blue/blue-green (Cream Legbar, Lavender Araucana). 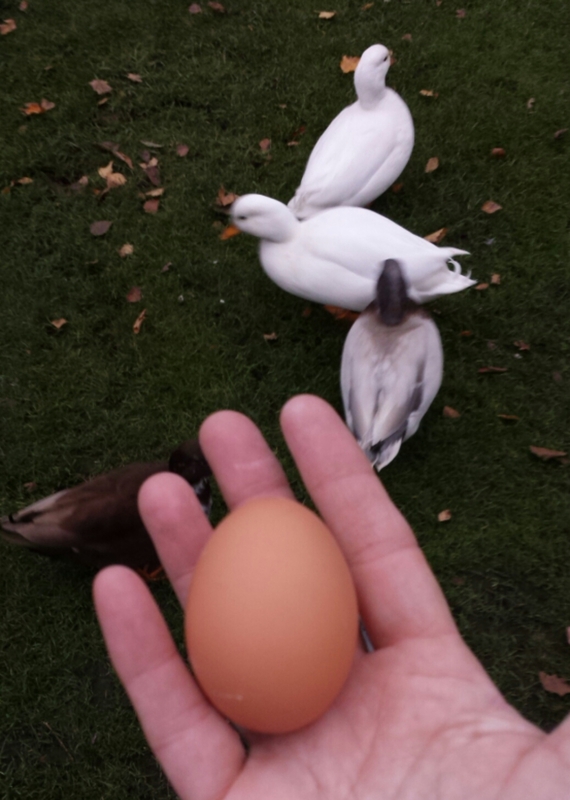 The first egg! This is the inside of their new super-duper plastic coop. The ducks are not impressed! 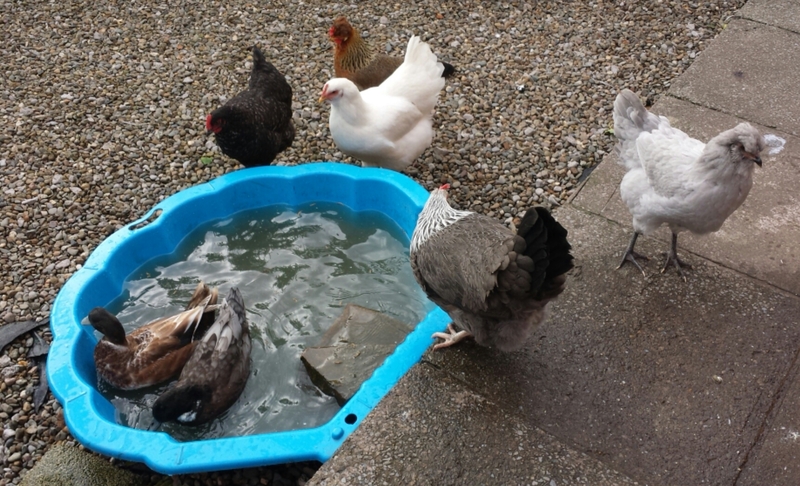 Peggy the Marans, top left, with the other 4 chickens and Bonnie and Baby WH in the pond; not sure where Clyde is, the three younger ducks are almost always together. « … and the Chickens!